The Book Industry Charitable Foundation's annual year-end campaign has begun, with a fundraising goal of $20,000. The $20,000 would help at least 10 booksellers and their families. Binc reported that it is receiving calls from booksellers impacted by the recent wildfires in California and is still helping booksellers affected by hurricanes in North and South Carolina, Hawaii and Florida. At the same time, Binc's board of directors is offering a donation match up to $5,000. "Needs within the bookselling community continue to grow each year," said Binc board president Lori Tucker-Sullivan. "Members of the Binc board see these needs firsthand through the requests for assistance that we receive. As board members, we are committed to doing as much as possible to support the wonderful, caring community that we serve. Matching the generous donations provided to Binc from our many supporters assures that we can help many more booksellers in need." Several industry partners, including Ingram Content Group, Sourcebooks and Bluffton BookFestival, have already pledged donations in support of the year-end campaign. Ingram Publisher Services has donated $10,000 to Binc on behalf of its publishing clients, including those with Publishers Group West, Consortium, Two Rivers Distribution and Ingram Academic. And beginning today, with Giving Tuesday, Ingram will share the stories of booksellers assisted by Binc over the next 12 days, as part of a series called the Twelve Days of Giving. "Binc has tremendous impact on the book industry, and its efforts helped boost the morale of our community," said Mark Ouimet, v-p and general manager for IPS, PGW and Consortium. "We believe the best way to thank our publishers for an amazing year is by honoring them in the most positive way possible with a donation in their honor to Binc." Pamela French, Binc's executive director, said, "We know people have a wide variety of wonderful charities vying for their support on #GivingTuesday. We are incredibly grateful to our supporters who are choosing to strengthen the bookselling community." After a weekend of protests and strikes by some of its workers in Europe, Amazon was the object of a protest in New York City yesterday, focused on the deal that the state and city gave for a huge Amazon facility in Long Island City in Queens--part of Amazon's HQ2 project. (The other "half" of HQ2 will be in Arlington, Va.) Objections include the huge subsidies given to a multi-billion-dollar company, potential transit problems and the effect of Amazon's presence on real estate. The protests took place in Herald Square and at the Amazon Books location on W. 34th St. The Daily Beast reported that "dozens of protesters stormed" the store, filing inside and chanting "G-T-F-O, Amazon has got to go!" 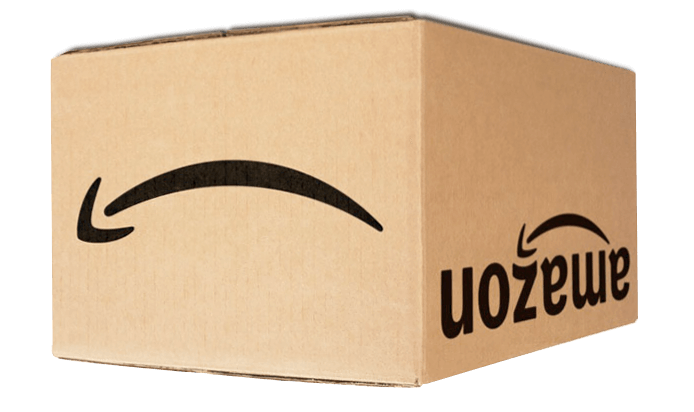 Amazon has said that it is receiving "performance-based direct incentives" of $1.525 billion from New York, which includes a refundable tax credit and a cash grant of $325 million. It also applying for other incentives. In a related note, Kathleen Carey, who manages the children's department at the Book House of Stuyvesant Plaza, Albany, N.Y., had a letter to the editor published in the Albany Times-Union, in which she praised a column by Chris Churchill "about the greed in the guise of convenience that is Jeff Bezos and Amazon (or Shamazon, as I refer them)." She objected, however, to one part of the column: "I bristled at his words regarding local bookstores, specifically, 'You can ask your local bookstore... in the unlikely event that it is still in business.' For a champion of all that is good and right about supporting local businesses, surely Churchill must know that the greater Capital Region has no less than five excellent, independent bookstores, and those words do us a disservice, one in this Age of Bezos we can little afford. 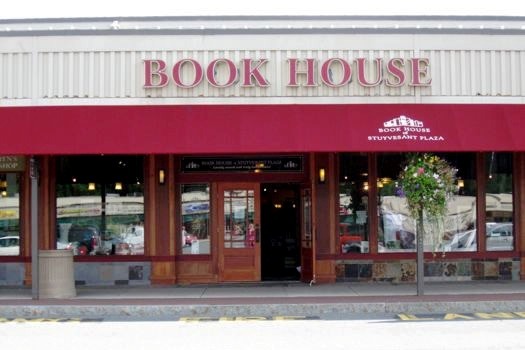 "With the holiday shopping season upon us, consider these local, truly independent bookstores: the Book House/Little Book House of Stuyvesant Plaza in Albany, Market Block Books in Troy, Open Door in Schenectady, I Love Books in Delmar and Northshire Books in Saratoga Springs. Booksellers love talking books, but we also like to pay the rent. We hope to be graced with our Capital Region community's presence, in any season." Lerner Publishing Group has acquired Zest Books, which publishes young adult nonfiction books on entertainment, history, science, health, fashion, and lifestyle advice. Zest will operate as a Lerner imprint and publish at least 10 new titles in 2019. Further expansion of the Zest list is planned thereafter. The acquisitions adds some 60 backlist Zest Books titles to the Lerner Publishing Group catalog. Publisher Hallie Warshaw will continue to oversee acquisitions as the new publisher at large of Zest Books. Zest's operations will move to Lerner's Minneapolis office, and Lerner's distribution center will take over all processing, warehousing, fulfillment, billing, customer service, and credit and collection for frontlist and backlist titles, effective July 1, 2019. Warshaw commented: "YA nonfiction is extremely important and relevant to today's teens, who deserve quality lifestyle advice and who are many times at the forefront of complicated current events. As teens continue to educate themselves and engage, YA nonfiction has become one of the fastest growing genres in publishing. Lerner will be a great home for Zest Books because it ensures that Zest will continue to publish relevant and compelling YA nonfiction, while providing the support and expertise to become an even larger player in the marketplace." Lerner publisher and CEO Adam Lerner said, "Zest Books stands out in the marketplace because of the relevant, well-researched, and attractively designed YA nonfiction that Hallie has been publishing for more than 10 years. With Zest Books and Twenty-First Century Books both producing quality YA nonfiction, Lerner is expanding our commitment to create exceptional and cutting edge YA that is relevant to today's teen readers." Books & Company, Oconomowoc, Wis.: "On this Cider Monday, we are encouraging you to walk away from the computer and into the bookstore for a cup of hot cider and a moment of quiet to browse our shelves and discover a great book for yourself and one for a friend. If you're like us, we cherish these moments when we can meander through the titles to uncover hidden gems." RJ Julia Booksellers, Madison, Conn.: "Happy #CiderMonday! As a thank you for shopping local, stop by the store and treat yourself to a free cup of hot cider!" BookBar, Denver, Colo.: "It's Cider Monday! That's right, not Cyber Monday, Cider Monday! Come in and support BookBar today and get a delicious cup of hot cider!" 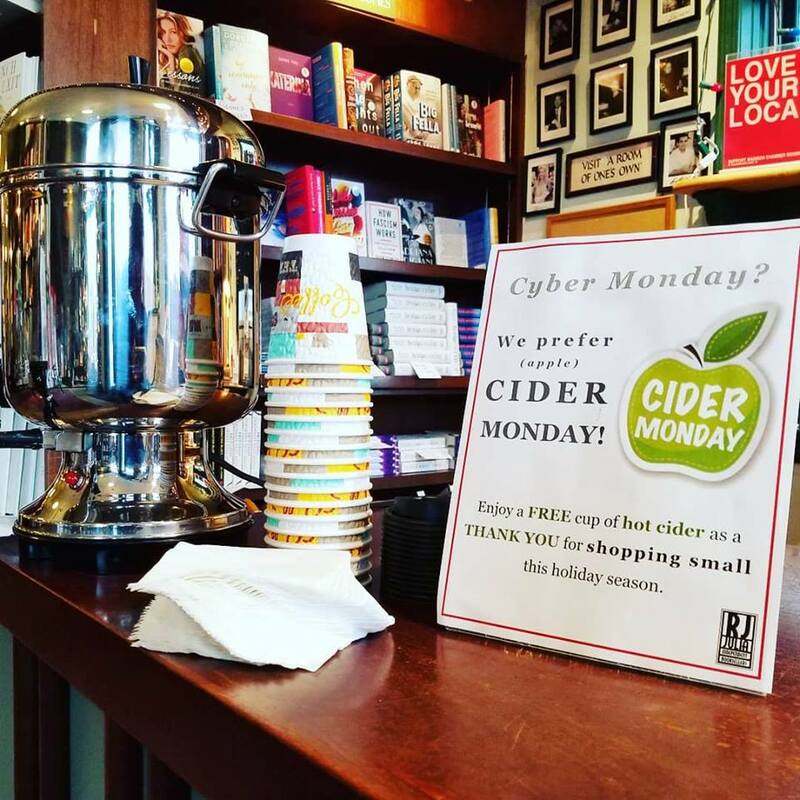 Avid Bookshop, Athens, Ga.: "Cider Monday instead of Cyber Monday? Sounds good to us! Continue celebrating The Avid Bookshop Bash with us today, and pick up a free cup of hot apple cider while supplies last." Wheatberry Books, Chillicothe, Ohio: "The sweetest deal on #CyberMonday2018 isn't online, it's in our store. Stop by and get a free cup of locally-produced apple cider from Hirsch Fruit Farm, while supplies last." Tattered Cover Book Store, Denver, Colo.: "Happy Cider Monday! Stop by a Tattered Cover store for some complimentary hot cider and cookies while you shop." The Mulberry Bush Bookstore, Parksville, B.C. : "It's Cider Monday! We thank you for choosing to shop locally. Come in today for a complimentary cup of hot apple cider and a cookie." The Bookworm Omaha, Omaha, Neb. : "We're back for another round of our favorite punny celebration of the season, Cider Monday! Escape the hustle and bustle of scoring the best deals online & come grab a cup of hot apple cider, for free, all day long. No purchase necessary, just a stop at your friendly neighborhood independent book retailer for a spot of delicious fall-in-a-cup." Legends Bookstore, Cody, Wyo. : "Today is Cider Monday!!! That's not a typo. We'll have hot cider from noon-4 p.m. and 20% off our Holiday Gift Guide books. Our server won't be busy, you won't have to input your credit card info and hope it doesn't get hacked, and you can talk to someone directly for help." Werner Books, Erie, Pa.: "Take a break from the computer and those online stores and come celebrate Cider Monday with us! We've got cider, cookies, cozy reads, great gift ideas and, best of all, you'll be shopping local. Looking forward to seeing you--we'll have a cup of cider waiting." Changing Hands Bookstore , Tempe & Phoenix, Ariz., retweeted a post from its First Draft Bar, noting: "Thirsty? Spend part of your #CiderMonday at our @firstdraftbar in Phoenix!" Dog Ears Books, Northport, Mich.: "Now it's Monday (Nov. 26), but we don't call it 'cyber' Monday here. No, indeed, FORGET CYBER--it is CIDER Monday at 106 Waukazoo Street, and there are cookies to go with the cider, and the featured book today (although our cider is sweet) is Hard Cider by Barbara Stark-Nemon." Donald McCaig, "who enjoyed success with historical novels, books about Border collies and two authorized follow-ups to Gone With the Wind," died November 11, the New York Times reported. He was 78. McCaig was "well known to listeners of the NPR program All Things Considered for his homespun dispatches about life on his 280-acre farm in the Allegheny Mountains, where he and his wife raised sheep." The Border collies they used to work the flock inspired several of his fiction and nonfiction books, including Nop's Trials (1984), Nop's Hope (1994) and Eminent Dogs, Dangerous Men (1991). In 2007, McCaig published the bestseller Rhett Butler's People, an alternate view of Margaret Mitchell's Gone With the Wind, and later wrote another GWTW novel, Ruth's Journey (2014). His other works include the novel Jacob's Ladder (1998) and the essay collection, An American Homeplace (1992). In Eminent Dogs, Dangerous Men, McCaig wrote: "Since dogs could hear and smell better than men, we could concentrate on sight. Since courage is commonplace in dogs, men's adrenal glands could shrink. Dogs, by making us more efficient predators, gave us time to think. In short, dogs civilized us." Happy 30th Birthday, Galaxy Bookshop! 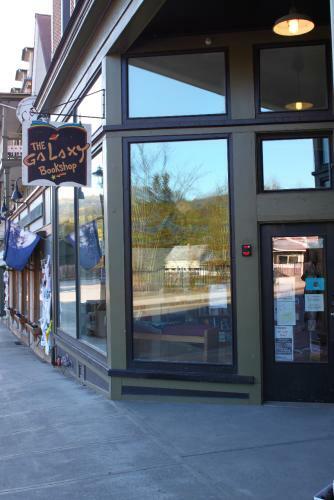 Congratulations to the Galaxy Bookshop, Hardwick, Vt., which is marking its 30th anniversary with a week-long "Moments in Galaxy History" celebration that culminates in a party this coming Saturday, December 1. "Moments in Galaxy History" began on Sunday and features special sales each day that "celebrate books and authors that have helped to make the Galaxy Bookshop what it is today." They include local writers Howard Frank Mosher, David Budbill and Leland Kinsey; Harry Potter books and related merchandise; books by local self-published authors; staff picks; and "Galaxy's bestselling author," Natalie Kinsey, who will give a short talk and do a book signing on Wednesday, November 28, at 3:30 p.m.
On Saturday, the store will offer cupcakes, door prizes and "a visit from special guest bookseller Linda Ramsdell." (She founded the store in 1988 and sold it in 2014 to current owners Sandy Scott and Andrea Jones.) Galaxy Bookshop will also show an anniversary video made by film student and bookstore family member Natalie Jones. The store is also asking customers to bring in Galaxy swag from previous years, including tote bags, water bottles, T-shirts and more, to receive a discount on purchases. 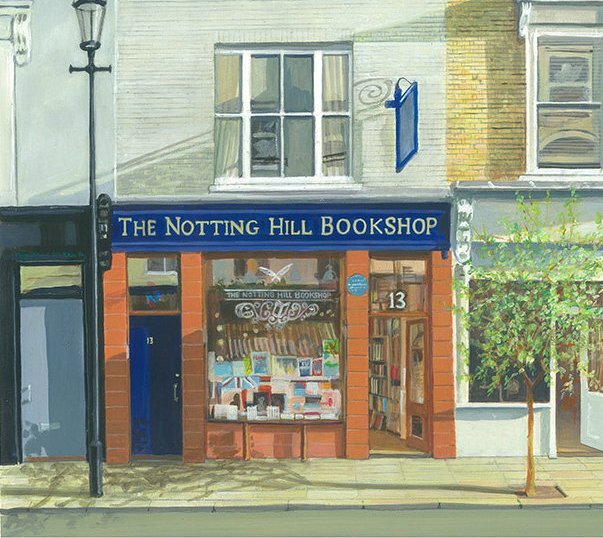 The Notting Hill Bookshop in London is anticipating a flurry of requests next year as a location for marriage proposals because the movie Notting Hill will be marking its 20th anniversary, the Telegraph reported. Starring Hugh Grant and Julia Roberts, the film prominently featured the bookshop's interior, and the back section of the shop is still named Travel Book Co. in its honor. "We have had several approaches during the past few years and there's other people that we are not aware of, like an American couple we didn't find out about until they returned for their anniversary," said James Malin, who has owned the bookshop with his brother Howard for the past 10 years. They anticipate that even more eager couples will line up to honor the film characters' engagement next year and are delighted by the frequency with which couples seek their help. "We don't always find out they are proposing but if they want us to do something special, we will." In 2019, the brothers "are expecting to be inundated by tourists who typically pose for photos outside the famous blue shop face before flicking through their stock of classic books," the Telegraph wrote. "I just hope that is chockablock all week," Malin noted, adding that tourists "always have a smile on their face, it is just a great space to work in." Extra Helping: Recipes for Caring, Connecting, and Building Community One Dish at a Time by Janet Reich Elsbach (Roost Books). Wendy Williams: Donna Brazile, co-author of For Colored Girls Who Have Considered Politics (St. Martin's Press, $28.99, 9781250137715). The View: Antoni Porowski, co-author of Queer Eye: Love Yourself. Love Your Life. (Clarkson Potter, $29.99, 9781984823939). He will also appear on Good Morning America. Netflix has released a trailer for Perfume, the new series based on Patrick Süskind's 1985 novel that had previously been adapted into the 2006 Tom Tykwer film Perfume: The Story of a Murderer. The "new TV venture brings the original story into a modern context, rather than the 18th-century French environs of the novel," IndieWire reported. Directed by Philipp Kadelbach (Generation War), the six-episode season stars August Diehl, Ken Duken, Friederike Becht, Susanne Wuest, Marc Hosemann, Natalia Belitski, Trystan Pütter and Wotan Wilke Möhring. Perfume, "which joins a growing roster of (often bleak) Netflix dramas from Germany, including Dark, Babylon Berlin (also directed by Tykwer) and the upcoming Dogs of Berlin," premieres December 21, IndieWire noted. The winner of the Diagram Prize for Oddest Book Title of the Year is Joy of Waterboiling by Christina Scheffenacker. The Bookseller, which sponsors the prize, noted that "for the first time in the 40-year life of the world's most prestigious literary gong, a foreign-language tome" has won. Published in Austria by Asche Verlag, the book is eligible for the prize despite being in German because its title is in English. From the Midwest Booksellers Association, Midwest Connections Picks for December. Under this marketing program, the association and member stores promote booksellers' handselling favorites that have a strong Midwest regional appeal. The End of the End of the Earth: Essays by Jonathan Franzen (Farrar, Straus and Giroux, $26, 9780374147938). "In The End of the End of the Earth, which gathers essays and speeches written mostly in the past five years, Jonathan Franzen returns with renewed vigor to the themes--both human and literary--that have long preoccupied him." The Collected Poems of Robert Bly Robert Bly (Norton, $39.95, 9780393652444). "Presenting the full magnitude of Robert Bly's body of work for the first time, Collected Poems is a fresh view of his lifelong achievement." City of Broken Magic by Mirah Bolender (Tor, $15.99, 9781250169273). "Five hundred years ago, magi created a weapon they couldn't control. An infestation that ate magic--and anything else it came into contact with. Only an elite team of non-magical humans can defuse and dispose of infestations." The Mukluk Ball by Katharine Johnson, illustrated by Alicia Schwab (Minnesota Historical Society Press, $16.95, 9781681341163). "Karhu the bear wants to go to the Mukluk Ball. He will need mukluks, dance moves, and someone to wake him up from hibernation. Will the Ball live up to Karhu's dreams?" 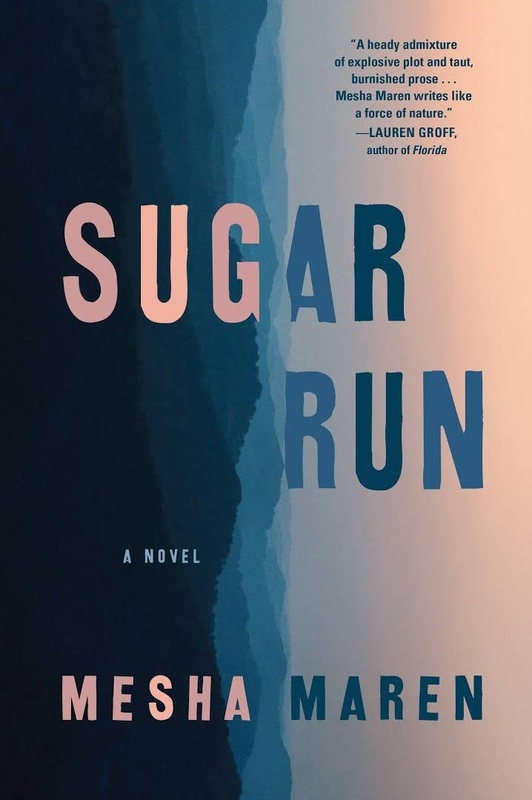 In her debut, Sugar Run, novelist Mesha Maren plumbs the human dimensions of the economic and opioid addiction crises of rural West Virginia. And she does so with the kind of attentiveness and sensitivity that invites favorable comparison with the work of writers like Chris Offutt and Tony Earley. At 35, Jodi McCarty has just been freed from prison after serving an 18-year sentence for manslaughter. She makes her way to a small southeast Georgia town on a mission to rescue Ricky Dulett, the abused brother of her former lover, Paula. As a teenager, Jodi had fled her West Virginia home with Paula, a woman twice her age. They drove across the southern United States and into Mexico on a destination-free journey where "each moment takes on a texture of delicious, unfamiliar risk," their wandering fueled by Paula's modest skill as a poker player and petty crime. When she arrives in Chaunceloraine, Ga., Jodi meets Miranda Matheson, the young wife of a fading country music star, and the women quickly discover their mutual attraction. Jodi impulsively invites Miranda, along with the three young sons she seizes from her husband's custody, to travel with her back to West Virginia, a state that has been "trying for so long to find a way." There Jodi hopes to realize a dream of raising cattle and growing hay on the land once inhabited by the grandmother who raised her from the age of seven. Not surprisingly, for someone whose life is haunted by the "snaking certainty that victim was the only role she was ever really meant to play," she discovers nearly insurmountable obstacles that seem to prevent her from turning her dream into a reality. And her plans for Ricky falter when she confronts the reality of nearly two decades that separate him from his childhood trauma. Shelf Talker: A former inmate struggles to escape her past and make a new life amid the poverty of her West Virginia home.